Could One Supplement Prevent Preterm Births? New research suggests that slashing preterm birth numbers could be as simple as taking this important supplement—one that you can find in any vitamin aisle. 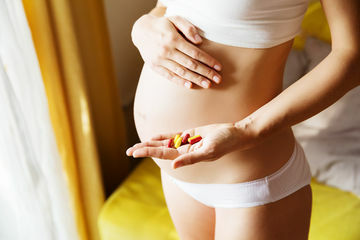 Two clinical trials found one surprising thing: That thousands of early preterm births could be prevented if women took daily docosahexaenoic acid (DHA) supplements. Does this sound too simple to be true? Possibly, but a randomized clinical trial in Australia found this result, and a trial in the United States identified the link as well. Both trials observed pregnant women who took daily DHA supplements against a control group that was administered placebos—and the difference appeared so significant, researchers believe over 100,000 early preterm births in the US and about 1,100 in Australia could be avoided with DHA supplements. According to the research, early preterm birth rates could be reduced to 1.3 percent in Australia and 1.5 percent in the U.S. Early preterm birth refers to birth at or before 34 weeks gestation, and infants born this early often require hospitalization both at birth and throughout the first year of life. Early preterm birth also puts newborns at risk for disabilities or even death, so this news is incredibly promising. Does this mean DHA supplements can completely negate your chances of giving birth before 34 weeks? Probably not, but it does seem like a big step in the right direction. "At present there is no effective method to prevent spontaneous early preterm birth," study co-director Susan Carlson, PhD, said, according to Science Daily. "Our recent studies suggest that DHA could be a promising agent for reducing this critical public health problem." She went to explain why researchers predicted such a significant difference in U.S. preterm birth rates: "U.S. women typically consume less DHA than women in most of the developed world. The intake of DHA is both the U.S. and Australia is well below that reported by Japanese women," Dr. Carlson said. Fortunately, you may already be getting these benefits: Many prenatal vitamins contain DHA. But if you're interested in tweaking your dosage or making sure you're getting enough, have a conversation with your doctor.